Two-thousand and fifteen is looking to be my busiest year for conventions yet. In February, I tabled at the inaugural True Believers Comic Festival in my former home, Cheltenham. It was an event predominantly geared towards the pop culture element in comics and couldn't be described as one of my most successful of convention experiences - nevertheless, I enjoyed catching up with old Cheltonian pals and treating a rather jaded girlfriend to the Robert Brown Early Adulthood History Tour. During my trip, I was pleasantly surprised by The Wilson, "Cheltenham's newly extended Art Gallery & Museum" - the somewhat folksy local history museum is now augmented with an agreeably designed gallery of their art collection. Therein, I was particularly beguiled by John Piper's Cheltenham Fantasia. After our visit, we ate chimichangas. 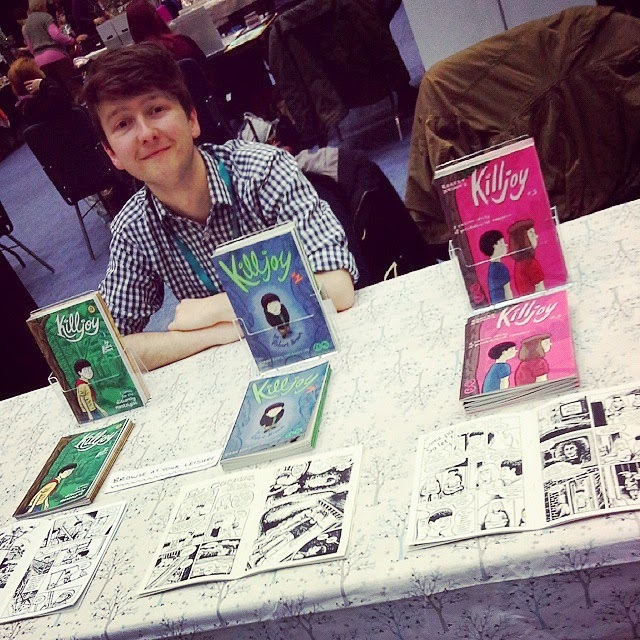 In March, I experienced my first not-explicitly-for-comics fair, the Sheffield Zine Fest. As hoped, it was an interesting event and provided me with a fresh perspective on alternative publishing. The ever-productive Rob Jackson also had a table, and I made an acquaintanceship with Russell Stearman, the creator of Insurrection.